The House of Representatives passed its annual farm spending bill late Thursday afternoon, shepherding through major reforms to the Supplemental Nutrition Assistance Program (SNAP). The reforms would substantially overhaul the work requirements associated with SNAP, by expanding the age of eligibility and the number of parents who are covered by it. Estimates suggest that anywhere from four to seven million adults currently on the SNAP rolls would be put to work should the requirements changes be implemented. Such requirements are likely to be popular: a 2016 survey found that 87 percent of people support work requirements, including 81 percent living in poverty. The overall effect on the SNAP population would be limited—about two-thirds of recipients fall outside of the requirements. However, the population of SNAP recipients who are not children, elderly, or disabled has grown precipitously since the Great Recession. The hope of lawmakers is that for the this group, work requirements combined with a billion-dollar annual investment in Employment and Training programs will help get parents back to work and off the dole. The farm bill itself was on its second attempt at passage, having previously failed a floor vote in mid-May. Then, members of the House Freedom Caucus joined with Democrats to defeat the bill 198 to 213. That failure was likely prompted by concerns from the Heritage Foundation and other conservative groups that the bill's reforms did not go far enough. 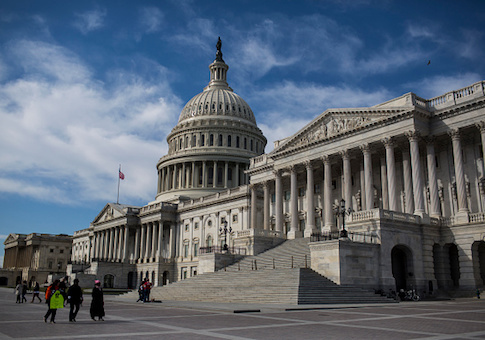 But Thursday's vote was on a bill unchanged from its mid-May form, according to Rachel Millard, the communications director for the House Agriculture Committee. This means that House leadership managed to sway the necessary conservative votes, for a final vote of 213 to 211, with every Democrat voting against. President Donald Trump took to Twitter to applaud the passage of the bill, writing "Farm Bill just passed in the House. So happy to see work requirements included. Big win for the farmers!" Trump was joined in his celebration by the Foundation for Government Accountability, a policy group which has been working to expand SNAP work requirements. "Today, lawmakers within the House of Representatives gave millions of Americans the opportunity to experience the freedom and power of work by passing the commonsense welfare reforms within the House Farm Bill. These reforms will close loopholes within the food stamp program that will restore the integrity of the program and ensure that resources are available for the truly needy," said Tarren Bradgon, CEO and president of FGA. While some may be celebrating, the future of the reforms is far from certain. The bill now goes to the Senate, whose own, bipartisan proposal contains no alterations to SNAP. It remains unclear what alterations Senate Republicans might make to this proposal, or whether or not they will be able to collect enough votes from farm-state Democrats to clear the 60-vote filibuster threshold. This entry was posted in Issues and tagged SNAP. Bookmark the permalink.